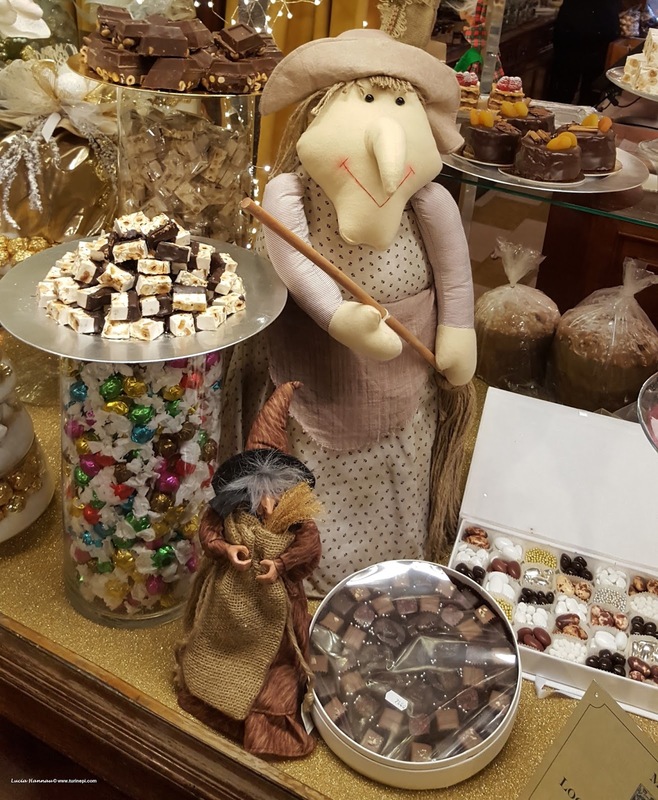 - generally speaking Befana is an old lady, not really a witch, who "somehow" flies on her broomstick and "brings stockings filled with candies to good kids and coal to the naughty ones". This is what Italian kids are told. She arrives flying through the window on the night between January 5th and 6th. - La Befana is a typical Roman tradition, in fact, in Rome, she brings good kids their Christmas presents. Interestingly, in some other northern Italian regions, Saint Lucy brings kids their presents on December 13th. 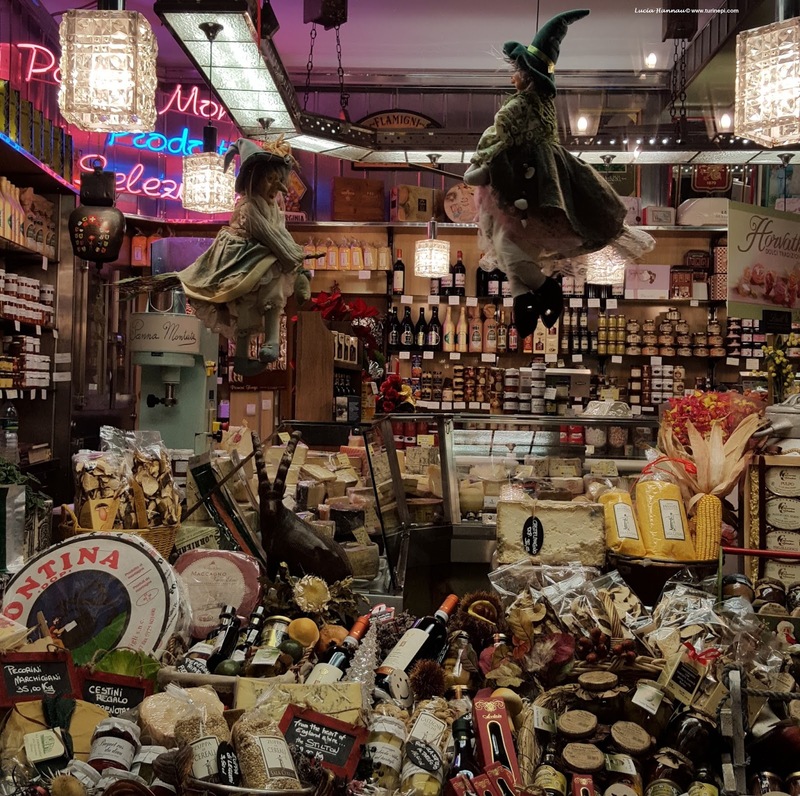 In Turin and the rest of Piedmont though, we enjoy our Befana stocking as we have already got our Christmas presents on Christmas eve or on Christmas morning, depending on the families. - The Befana stockings usually fly inside the Befana sack like Santa's. - Good kids get all sorts of amazingly good candies, chewing gums, small size nougat or torroncini both soft and hard, nut filled chocolate candies, chocolate coins, gianduiotti in Piedmont and the very wealthy kids can also find some bills inside their stockings. 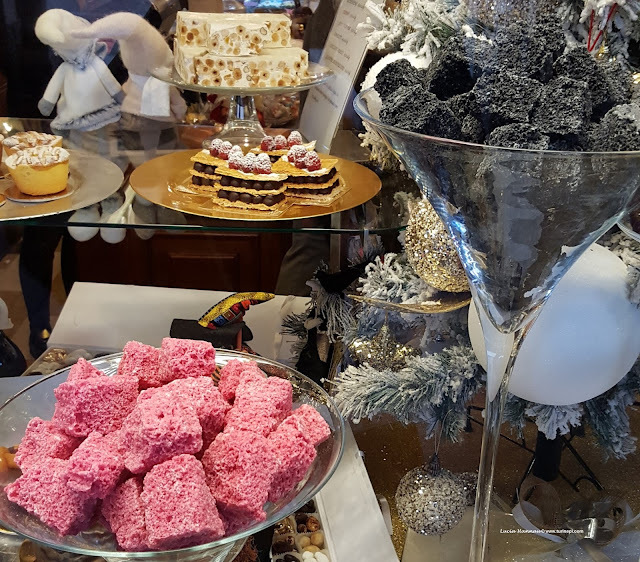 - Naughty kids are supposed to get only coal, however, every kid is naughty at least once during the year so all the stockings sold in pastry shops, bakeries and grocery stores always contain at least one piece of sugar coal. - Sugar coal is usually artisan made and very expensive. You can find it red and black and it's basically a cube of sugar. 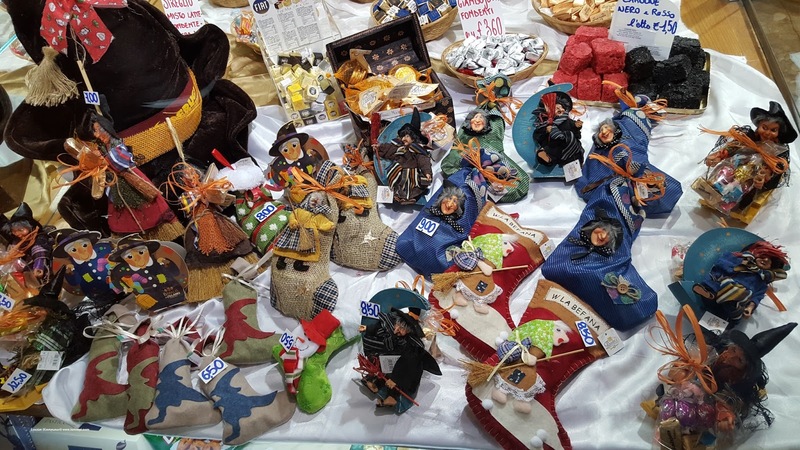 - The Befana stockings can be bought around Christmas and are given on January 6th. Most stockings have a Befana with her broomstick on it. However, there are a few creative relatives who take the time to select the kids' favorite candies and simply fill up one of their regular knee-high cotton socks. Honestly, that's the best stocking ever, because in the shop-bought ones there are always some pieces of candies we never like... it is also a nice gesture of affection to make for somebody we do care for a lot! - Usually the average native Italian doesn't know about the origin of the Befana tradition. Being Italy mostly a Roman Catholic country, everybody knows about the three Kings; in school, they learn that Befana is a pre-Christian pagan tradition. However, the legend has it that as the three kings were going to greet baby Jesus they were meeting many people on their way who decided to follow them. Everybody was thrilled at the idea of greeting baby Jesus except for this old lady who didn't care to follow the crowd. After declining the invitation, she woke up in the morning and found all the people in her village were gone, so she decided to go to, but it was too late and since then she's condemned to make up for her decision by bringing presents - like the three kings did, to all the kids in the world. 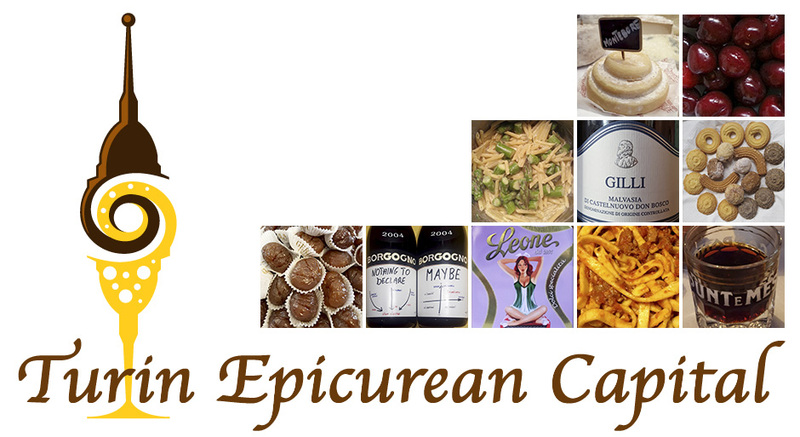 - Befana naturally comes with her own cake too. Other European countries have a January 6th cake similar to this Befana's focaccia: a sweet bread hiding a tiny prize inside that will bring good luck to s/he who finds it! L'epifania tutte le feste porta via - the Epiphany day (January 6th) marks the end of the Christmas Holidays in Italy, regular life starts on January 7th. In the meantime: Buona Befana y'all!